Join friends and fans at iconic Pebble Beach® as the course hosts the U.S. Open for a 6th time in 2019. With PRIMESPORT, the Authorized Fan Experience and Travel Package Provider of the 119th U.S. Open, you can get unrivaled access to the best players in the world as they take on the links along the California coastline.  For other U.S. Open Championship ticket options – click here. Pebble Beach®, Pebble Beach Golf Links®, The Lodge at Pebble Beach™, Spanish Bay®, The Links at Spanish Bay™, Spyglass Hill® Golf Course, The Lone Cypress™, and their respective underlying distinctive images and hole designs are trademarks, service marks and trade dress of Pebble Beach Company. Used by permission.